Happy True Parents’ Birthday to all our brothers and sisters all around the world! 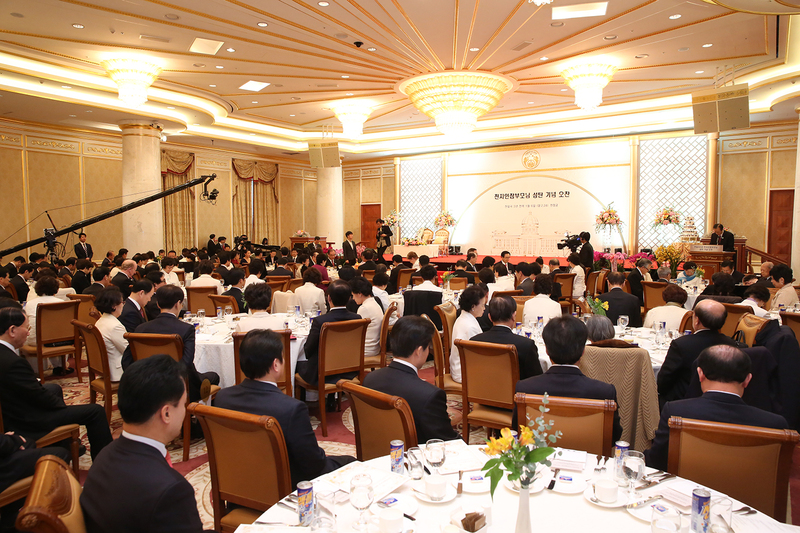 Around 700 participants, including members of the True Family, Special Emissaries, Regional Presidents, Cheon Il Guk Special Envoys, heads of providential organization, church elders and Korean ministers, gathered at Cheon Jeong Gung on 1.6 in the third year of Cheon Il Guk (February 24) to celebrate the beautiful and joyful birthday of the True Parents of Heaven, earth and humankind. The MC for the banquet was Rev. 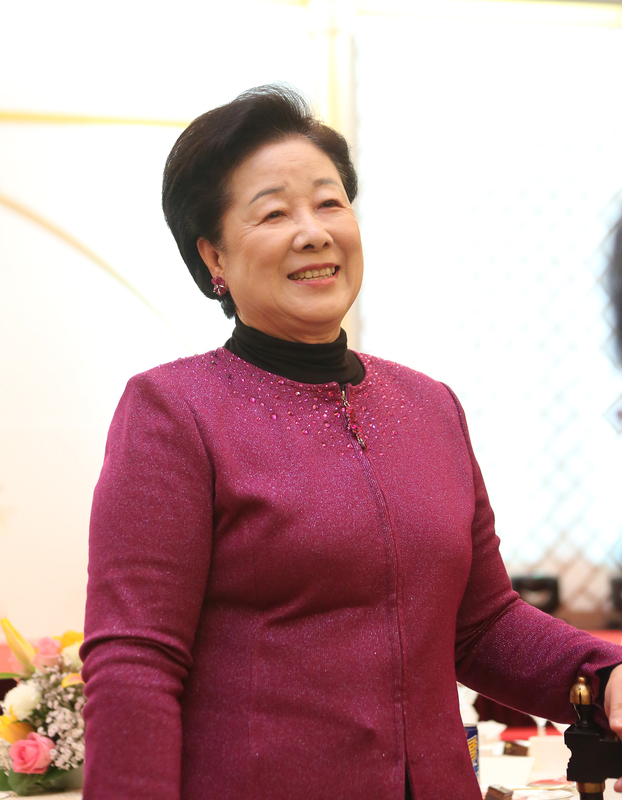 Ryu Kyeong-seuk, the President of FFWPU-Korea. During the pre-program, Dr. Yong Chung-shik, the regional president for Asia, gave a report about recent activities in the Philippines and Nepal, and Dr. Yang Chang-shik, chairman of UPF International, gave a report about UPF activities around the world in 2014. Following True Mother’s entrance, Rev. Kwun In-seong, the regional president for Oceania, and his wife presented flowers to True Parents on behalf of all the members. Dr. 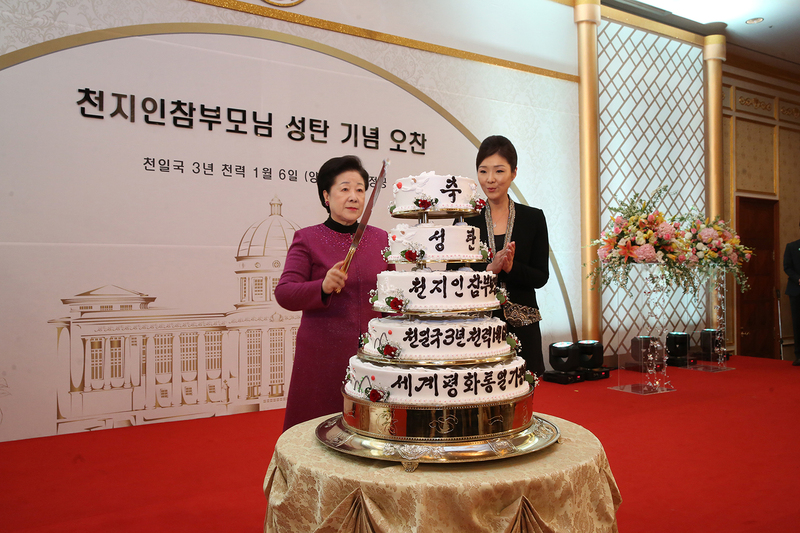 Moon Sun-jin, Director-General of FFWPU-International, joined True Mother for the cake cutting. Then, representatives from the 13 regions of the world presented True Parents with beautiful gifts. Next, Rev. 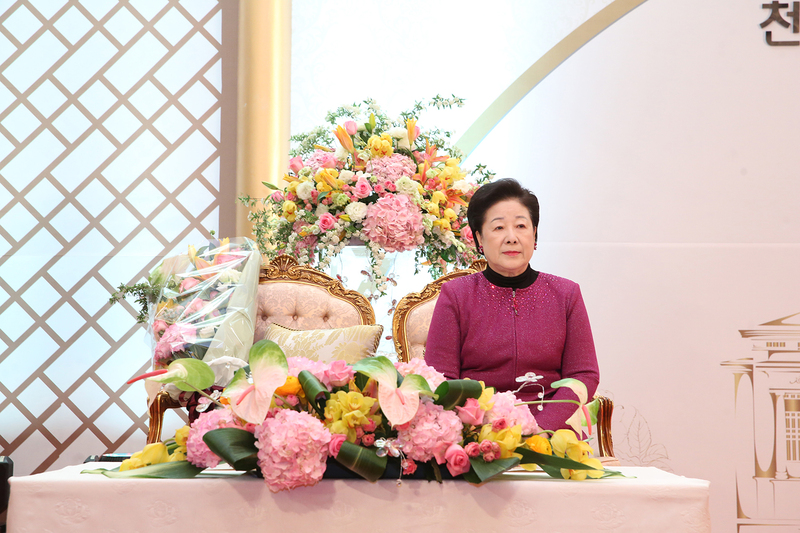 Lee Ki-seong, President of Cheongpyeong Heaven and Earth Training center offered a report to heaven. For the hoondok, Mrs. Won-ju McDevitt read from the Chambumo Gyeong. 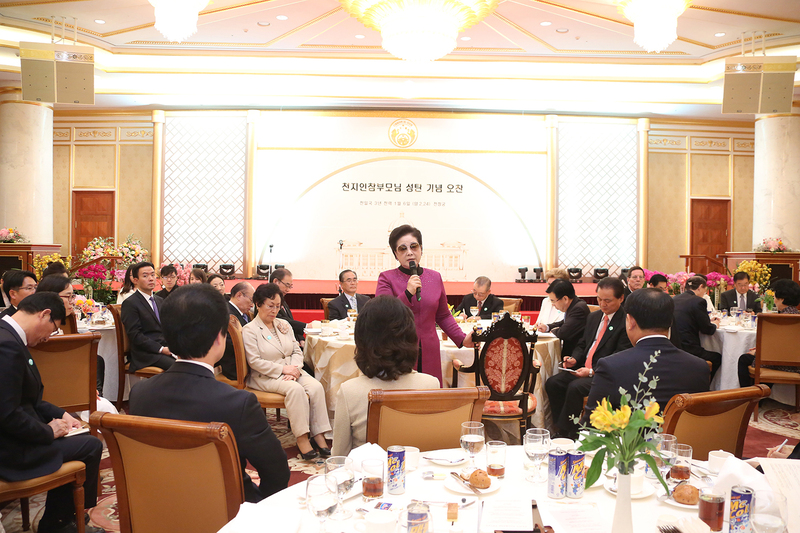 Then a video presentation on True Parents’ recent activities in Las Vegas and her words to members in the US and Korea was shown. After the luncheon, seven different groups provided beautiful and memorable entertainment, further heightening the atmosphere of joy and harmony. After the performances, the MC invited True Mother to bless the day with a song. Prior to singing, True Mother opened her heart and shared beautiful words of wisdom. She exhorted members to invest themselves in fulfilling their tribal messiah missions and introduce True Parents to all humanity. 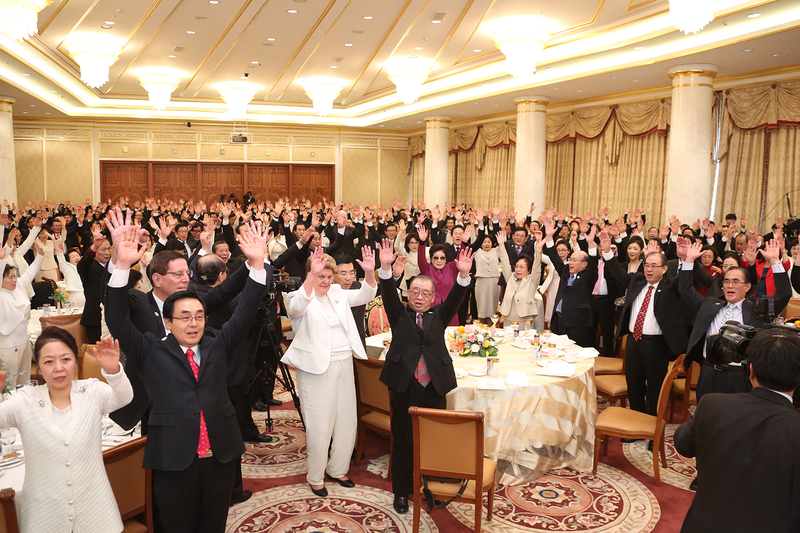 The birthday celebration for the True Parents of heaven, earth and humankind ended with three cheers of Eok Monsei led by Dr. Seuk Joon-ho, the chairman of the Mission Foundation.